NIRP stands for Negative Interest Rate Policy. Whispers of implementing this un-charted technique are running wildly through economic circles right now. When you know more about NIRP and how it affects the way you borrow and spend money, you have more control over your finances. We want to help you infuse certianty into a situation that seems tenuous, so let’s talk about it. Our economy is a credit-based economy, meaning that when you borrow money from a bank, it isn’t backed by gold; in fact it may be created from thin air. In our blog, How to Better Understand the Premise of Money, we looked at how we’ve all agreed that money has value. And that everything hinges on the agreement that we won’t all go to the bank and cash in at the same time. This premise is the foundational block on which our economic tower is built. In this type of economy, we play a delicate juggling act between spend, supply, inflate price, and repeat. We hope that consumer confidence, corporate profits, and employment all stay high. When people hoard money instead of spending it, we see a reduction in demand, prices fall, and unemployment rises. It’s called deflation—a backed-up economy that requires more than a spoonful of castor oil. How does an interest rate go lower than zero? Central banks in the U.S. and the Federal Reserve set interest rates to manipulate the economy and keep it balanced. NIRP is a largely untested policy where the interest rate actually dips to a neagtive value. Yes, that’s what we said. Below zero interest. It’s a thing. 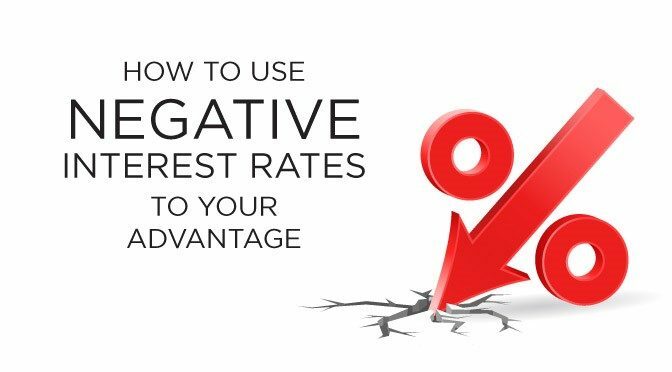 Put simply, a negative interest rate means that the bank is actually paying people to borrow money and charging people to keep their money in the bank. They are essentialy saying, “Can we pay you to spend this money?” Why would they do this? It’s a last-ditch effort flush the economy with more spending. And the problem with using a last-ditch effort is that it raises a giant red flag to the public. Because group-think and mass mentalities are real, panic could ensue (picture the opposite of Black Friday). Several countries including Japan, Sweden, Switzerland, and Denmark have toyed with negative interest rates with mixed results. Japan has had negative interest rates for a while and unfortunately has experienced people borrowing money only to hoard t in their houses (the sale of safes skyrocketed though). Denmark has used this tactic the longest. They’ve learned that if people are paying to store money in the bank and actually getting paid to have a mortgage, housing costs go through the roof—which is a red flag to everyone in the U.S. since 2008. What would a NIRP mean for me? Your job is to educate yourself and watch for important signs, decisions, and shifts in the economy. We’ve discovered that low, zero, and negative interest rates are one sign that the economy has become volatile. Looking back, many smart investors watched the signs around the housing bubble, and (though human behavior can’t be precisely predicted) those who were patient and had liquid cash were able to find opportunity within the chaos when housing prices fell. They were the victors and not the victims. Another arrow we want to add to your quiver of education is a shift in the way you think about your financial strategy. Open your mind to the possibility that the way most people currently invest is an outdated paradigm. Start thinking in terms of how you can invest at a lower risk and still have liquid money when smart investments present themselves. And the most obvious thing you should take away from this is, in the event of a NIRP, the last place you want to keep your savings is in the bank. We have a smarter strategy. When you sign up for our eCourse, called Infinite 101®, we teach you how to accomplish both. Let us tell you more. 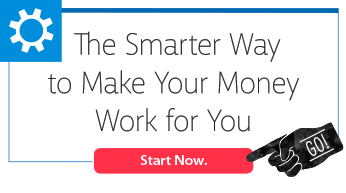 Take 2 minutes to sign up and take your first step toward education and a better financial strategy. You’ll receive access to video tutorials, articles, and podcasts. It literally costs you nothing to become educated on this ideal financial strategy and start changing your wealth paradigm!